Are you looking for the ideal free standing kitchen sinks unit for your home? Explore the HC Supplies range of stunning free standing sinks units and benefit from fantastic savings. A free standing kitchen sinks unit is a fantastic option for the modern home as it has all the benefits of a contemporary basin system, while providing the aesthetics of a retro unit. Make your selection from designs by Astracast, Rangemaster and Bretton Park, and enjoy quality workmanship and style at low prices. Whether you require a single, or a double bowl freestanding sink unit, find it here. Our selection of sinks will suit whatever free standing kitchen sinks cabinet you may already have in situ. A free standing sinks cabinet is an extremely contemporary feature of many modern kitchens, and HC Supplies have an abundance of sinks that would suit this style. The stainless steel Belfast bowl from Astracast is one of the most on trend designs currently on the market and is a beautiful sink that has been built to last. Each free standing sinks unit is available to buy at a reduced price, so why not save money today? As highend retailers, we only stock the most stunning, top quality freestanding sinks unit designs. Our Belfast sink range from Astracast, Bretton Park, and Rangemaster are guaranteed to deliver on durability as well as give your kitchen an instant splash of style. Choose from sinks with a glossy ceramic finish, or the contemporary appeal of a stainless steel sink. If you are having difficulty choosing the right reestanding sinks units for your home, give our friendly customers services team a call and take advantange of expert advice from HC Supplies. We know how exciting it can be to update your home, and once you have decided on which freestanding kitchen sinks unit will be perfect for your house, you will want to have it installed as soon as possible. This is why we ensure all purchases are dispatched promptly and UK residents can expect to receive their order within 2 to 7 working days. 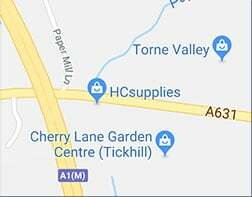 HC Supplies also delivers goods to outside the UK, and Europe, so if you need your items shipping elsewhere, give our friendly customer services team a call and we shall organise delivery. We are delighted to be able to offer our customers the option of specific day delivery, which can be arranged by calling our team to book and ideal time for your freestanding sink to be delivered. Should you have any questions regarding any of our services,we can be contacted by telephone, or online via the enquiry form on our site. Should you be in the area, you can also visit our showroom in Doncaster for a closer look at our range of products. Our showroom is open to all customers that require any assistance with purchasing the perfect product for their homes, and we can also help with design ideas if you find yourself stuck for inspiration.